Five-time Grammy Award winning American superstar, Carrie Underwood, will release her new single ‘Good Girl’ on 7 May. Underwood’s fourth album ‘Blown Away’ will be released on 18 June. After one of the USA’s biggest and brightest stars released her first UK album this summer – It was clear she took the British audiences by storm, leaving them with a compelling impression of her country roots and power house vocals. Carrie announced her first ever UK show, at the Royal Albert Hall, selling out the prestigious venue in just 90 minutes. She released Blown Away the same week. A multi-platinum artist, five-time Grammy winner, a style icon and versatile performer, Carrie has transcended expectations and the country music genre like no other and her musical vital statistics are astonishing. Her debut album went 7 times platinum and sent her on the way to becoming America’s foremost sweetheart. 15 Number 1 singles later, Blown Away is a powerful, eclectic and incredibly fun ride. Carrie has let loose, bringing all her influences to the record, fuelled by her infectious personality, great songwriting and some of Nashville’s finest musicians. From the first single on the album, the sassy, up front, Radio 2 A-Listed Good Girl, to title track Blown Away, Underwood sounds like an artist in full control of some of 2012’s essential chart hits. But Blown Away will surprise her fans, particularly the cinematic title track with its swirling, atmospheric production, subtle references to “The Wizard of Oz”, and intense lyric about abuse and revenge. 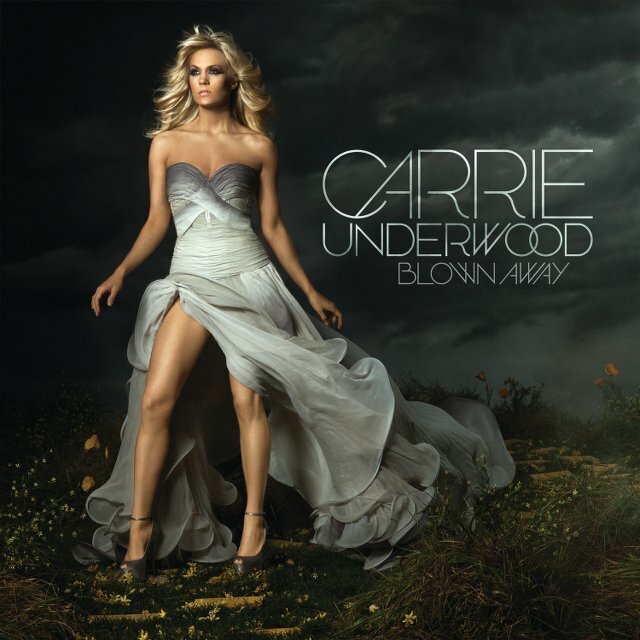 Light or dark, sweet or anthemic, Carrie co-wrote eight of the 14 songs on Blown Away, including Good Girl. The UK version of the album will also feature 4 of Carrie’s previous US Number 1 hits – Before He Cheats, Jesus, Take The Wheel, Last Name and Cowboy Cassanova.